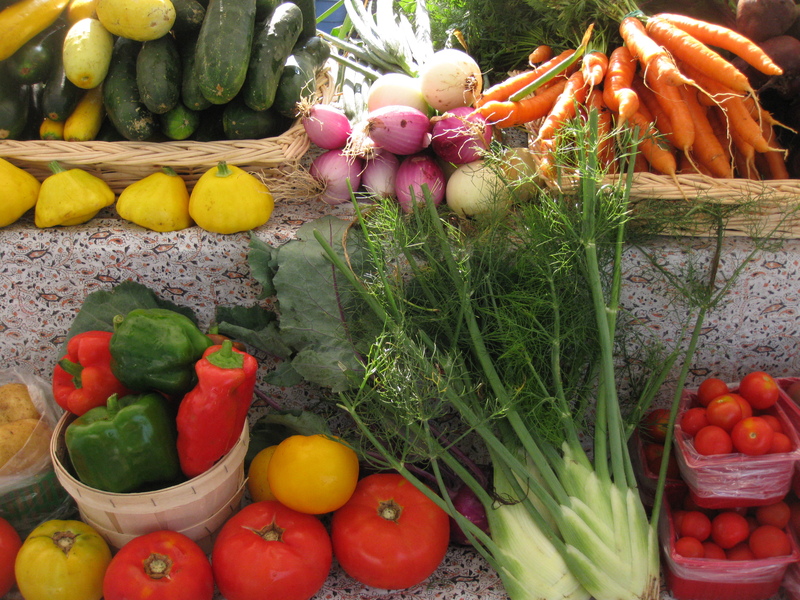 Community Supported Agriculture (CSA) is a growing movement in Quebec and across the world. It is an innovative model in which customers become partners in the farm, overcoming the conventional separation between producer and consumer. At the beginning of the season, consumers invest in a share of the vegetable harvest to be delivered for a set number of weeks. Producers deliver weekly baskets of varied vegetables throughout the season to central drop-off locations. Consumers benefit by receiving local organic vegetables delivered to a convenient location each week, by the satisfaction of knowing their producer and by contributing to the local economy. Producers benefit by having confirmed sales and payment upfront at the start of the season, the period of highest expenditure, and by having a more informed and involved community around them. Everyone benefits from helping to create a more accountable, fair and ecological food system! Different farms organize their CSA in different ways, each according to their own values and priorities. Here at the Ferme cooperative aux champs qui chantent we prioritize direct contact between the farmers and the consumers, striving to create meaningful relationships, and keeping our farm small, yet highly diversified. We will therefore always have a farmer present at our drop-off points to hear from you directly, and we will send out weekly newsletters to help demystify some of the lesser known offerings. Missing a basket: At any time, without any advance notice, you can send someone to pick up your basket in your name. If no one is there to pick it up, we will donate it to a local community organization at the end of the drop-off. Additional products: Throughout the season we will offer eggs, meat (pastured porc, soup hens), kale shares, and surplus veggies for canning in addition your weekly vegetable baskets. Our basket season runs from June through October (summer baskets) and November through December (fall baskets), with weekly or biweekly deliveries. For more information about our summer baskets, click here. To register, click here. For more information about our fall baskets, click here.